Schematic of a quantum-dot microresonator under strictly-resonant excitation from the side. The top contact allows for electrical operation and suppression of stray light. 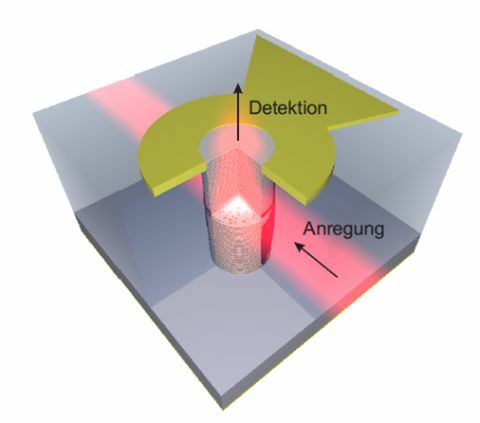 The quantum-dot microcavity system will be driven under resonant conditions in the strong-coupling regime. The strictly-resonant excitation under will provide new results on non-linear coupling processes, properties of the Jaynes-Cummings ladder, and the evolution of the Mollow-Triplet.